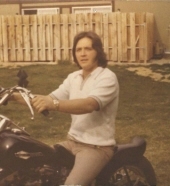 Michael (Mike) Barnes of Thornton, CO passed away at Lutheran Hospice Center in Wheat Ridge, CO on April 6, 2019. He is predeceased by his parent, Benasia (Stanley) Barnes and Romayne Barnes of Greeley, CO.
Mike is survived by his loving wife of 17 years, Jan Barnes. They were married on February 2, 2002. Mike is lovingly remembered by his daughter Jenea (Phil) Tysiak and his son Joshua (Louise) Barnes. He is also remembered by his 5 grandchildren, Hunter, Brayden, Josh, Lauren and Katelyn, his sisters Pat, Shauna and Becky and his brothers Joe and Jim and many niece’s and nephews. Mike was born in Binghamton, NY on September 18, 1949. They moved to Colorado when he was a little boy and he graduated from Brighton High School in 1967. He went on to earn an Associates Degree from Aims Community College. He worked for Burlington Northern Railroad for 17 years and then moved on to work for RTD for 25 years. He finally retired on March 30, 2018. Mike enjoyed any kind of sports. He loved to play golf and go fishing. He especially loved being with his family. To send flowers or a remembrance gift to the family of Michael Barnes, please visit our Tribute Store. A small reception will take place downstairs immediately following the service. Guaranteed delivery before Michael's service begins. "Email Address" would like to share the life celebration of Michael Barnes. Click on the "link" to go to share a favorite memory or leave a condolence message for the family.